Paradox is at the heart of Zen Buddhism, which was part of what drew the Christian monk Thomas Merton deep into the study of Buddhism and other religions of Asia. The paradox was there at the beginning of his journey, even before Merton became a Christian. Born in France to an international family, Merton moved to the U.S. as a child. He was educated in France, England and the United States. It was at Columbia University that he marked three milestones: He participated in his first peace actions, demonstrating against the Italian invasion of Ethiopia. He plunged into a spiritual search that led to his conversion to Catholicism. And paradoxically, before he became a Christian, he met a Hindu mystic, Mahanambrata Brahmachari, who advised Merton not to read Hindu scriptures in his spiritual journey but to explore his own Christian tradition of mysticism beginning with Augustine and Thomas á Kempis. After his conversion, Merton initially had little concern for other forms of Christianity, and certainly none for other religions. 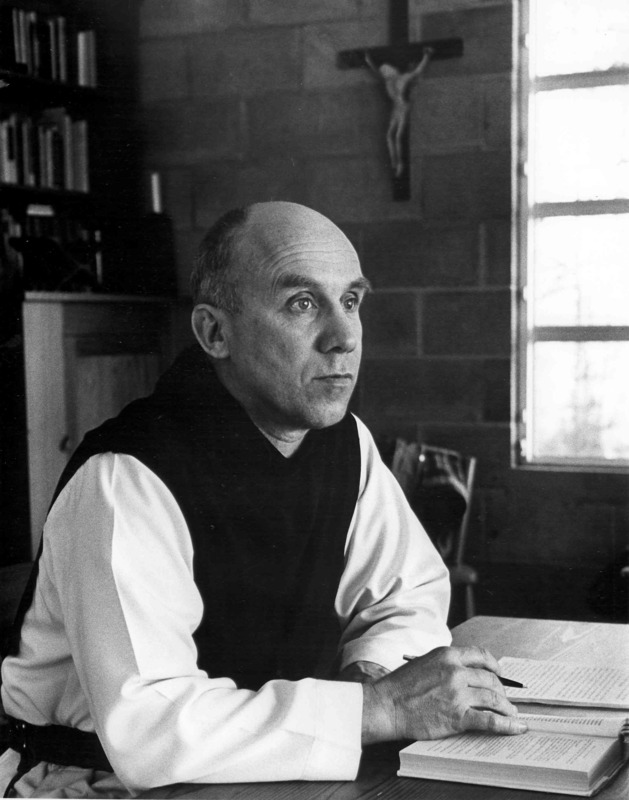 Following a stumbling search for his vocation within the church, Merton joined the Abbey of Our Lady of Gethsemani in Kentucky and became a part of the strict Trappist order of monks. He wrote prolifically after the surprising success of his early autobiography, The Seven Storey Mountain, in 1948. Merton was later embarrassed by the religious exclusivism in his early works and apologized for the lack of ecumenical spirit. As he matured, Merton taught young monks about contemplation, struggling through his own tendencies to intellectualize as he sought to enter into the contemplative practice and spirit. In the 1950s Merton began a long-term study of other religions: Hinduism, Taoism, Confucianism, Islam, and especially Zen Buddhism. He was inspired by the challenge of Gandhi that one can find the deeper roots of one’s own religious tradition by becoming immersed in other religions and then returning home to see one’s own tradition with a transformed consciousness and awareness. Merton contacted the Japanese Zen scholar D.T. Suzuki who was popularizing Zen in the West, and they began a long discussion on the similarities and differences between Zen Buddhism and Christianity. Merton launched his interfaith encounters with humility, expressing his approach to Suzuki: I will not be so foolish as to pretend to you that I understand Zen. To be frank, I hardly understand Christianity. Yet Suzuki was impressed by Merton’s profound grasp of both Zen and Christianity. Eventually Merton began to frame his quest as wanting to become as good a Buddhist as I can because only with immersion inside the perspective and experience of another faith could he learn in depth that which would drive him deeper into his own Christianity. He found the 4th Century Christian writer Ambrose affirming this perspective saying, All that is true, by whomever it is said, is from the Holy Spirit. Ambrose echoed the Buddhist teacher Bankei who said, The further one enters into truth, the deeper it is. Merton held fast to his Christian beliefs, but felt the contemporary Church had to take seriously the reality of the diverse religions in the world. In fact, for him religious dialogue was a spiritual necessity in the nuclear age because the West needed the spiritual heritage of the East or else the West would hasten the tragedy that threatens man and his civilizations. The opening of the Catholic Church to dialogue and collaboration with other religions through the Second Vatican Council gave formal approval for what Merton was already doing. Merton found the connection point between Christianity and Buddhism not in doctrines and intellectual formulas but in the rejection of the false self and direct experience through contemplation of where God is in emptiness and compassion. In the last decade of his life Merton engaged in extensive written correspondence with interfaith friends around the world including Abdul Aziz, John Wu, Amiya Chakravarty, Abraham Heschel, D.T. Suzuki, Thich Nhat Hanh and Dona Luisa Coomaraswamy. In these letters he showed a desire to learn from others, not so much in matters of doctrines in which the difference of religion were apparent, but in religious practice and religious experience. He found common ground and in some cases common language that could bind him with his friends of other faiths through their shared experiences of the God behind God encountered in the silence of meditation and mystical experience. He also found commonality in the motivation from these spiritual experiencing driving one toward the world in compassionate action. Seeing the inner-workings of spiritual practice and compassionate action in Taoism, Islamic Sufism, Buddhism, and Hinduism helped him understand and refine his own Catholic spirituality and action in the world. Another paradox that Merton uncovered was that his withdrawal from the world, even living as a hermit on the grounds of Gethsemani for years, drove him toward the world. He found the compassion of God in contemplation that empowered his insights to speak to the sufferings of the world, particularly poverty, racism, and war. Though many social and peace activists urged him to leave the monastery, he knew that the power of his writings was fueled by the disciplines of contemplation. The culmination of Thomas Merton’s interreligious journey was a trip to Asia in 1968. He met the Dalai Lama, and they quickly developed a deep friendship. The Dalai Lama said of Merton, I could see that he was a truly humble and deeply spiritual man. This was the first time I had been struck by such a feeling of spirituality by anyone who professed Christianity. The Buddhist leader said Merton opened his eyes to the truth that Tibetan Buddhism does not hold the world’s only truth. The spiritual discovery was going both ways. Later in a Buddhist temple in Ceylon (now Sri Lanka) Merton had his last mystical experience of which he said, I have now seen and have pierced through the surface and have got beyond the shadow and the disguise. For Merton religious dialogue took place primarily at the experiential and mystical level and only secondarily at the intellectual and academic. Paradox marked Merton’s death. He died by accidental electrocution while taking a brief break from a conference on Buddhism in Thailand. He had stepped out of the bath, evidently stumbled and grabbed a fan with a faulty electrical cord. His body was flown back to the U.S. in a B-52 bomber carrying remains of American soldiers killed in Vietnam, a war he had strongly opposed. Though his life was cut short, the challenge of Merton’s spiritual journey remains.